The EUR/USD currency pair continues moving as we expected it to. The price has tested the area of 1.2640. The structure of the price movement remains the same. We should expect the pair to be corrected from the current levels into the area of 1.29, where one can consider selling it with the target of 1.2540. At shorter time frames the price is forming the descending pattern with the target in the area of 1.2625. 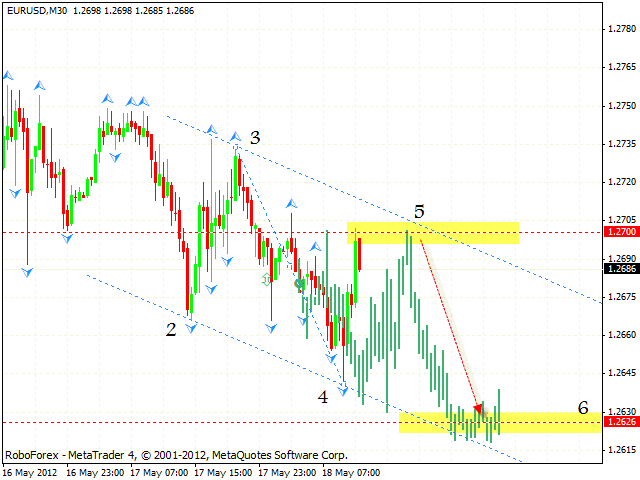 One can consider selling Euro with the tight stop from the level of 1.27. 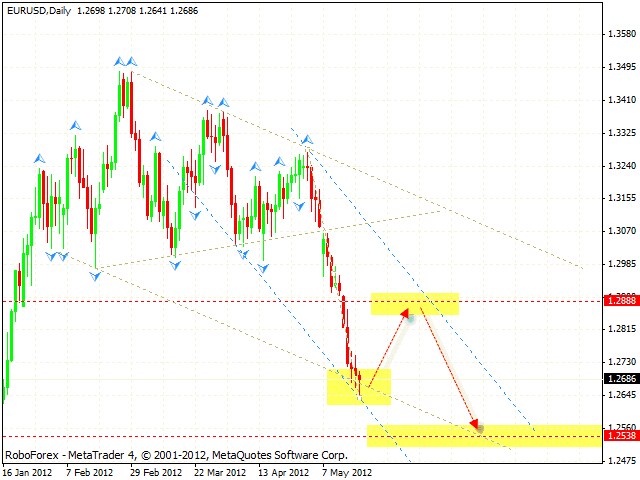 If the price grows up higher than 1.2720, we should expect the pair to be corrected into the area of 1.29. Technical analysis of the weekly chart of Dollar Index indicates that the price is starting falling down from the current levels. The trend’s ascending line at the RSI has been broken, we should expect the price to movie downwards into the area of 77.00. The formation of “head & shoulders” reversal pattern at the MACD indicator is an additional signal of a possible trend change. The GBP/USD currency pair continues falling down. Right now we recommend to stay out of the market. In order to enter the market and open new positions one should wait until the price start the correction. The USD/CHF currency pair has reached a new local maximum, but in general the structure of the price movement remains the same. We should expect the price to be corrected into the area of 0.9320. 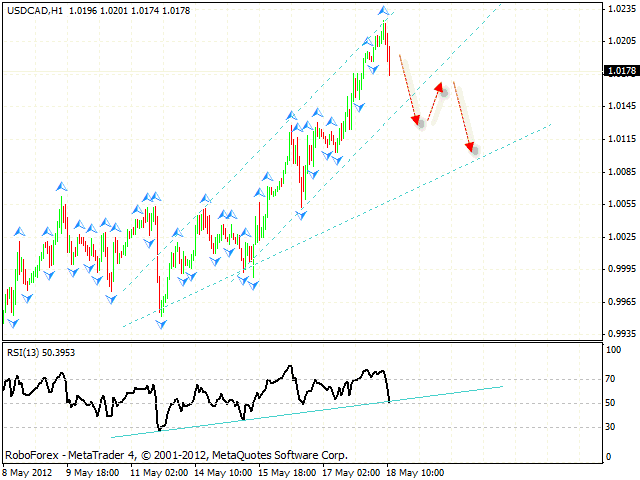 Right now the price is forming “head & shoulders” reversal pattern at the RSI at the H4 chart. One can consider selling the pair from the current levels with the tight stop. 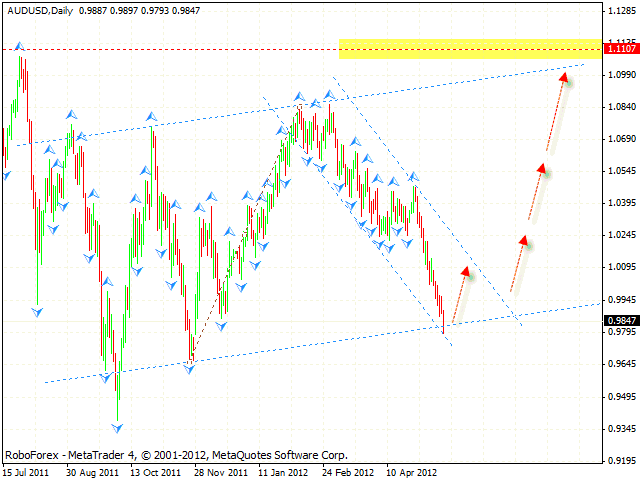 Canadian Dollar has reached all the targets of the ascending pattern without any corrections. Currently we should expect the pair to start falling down. 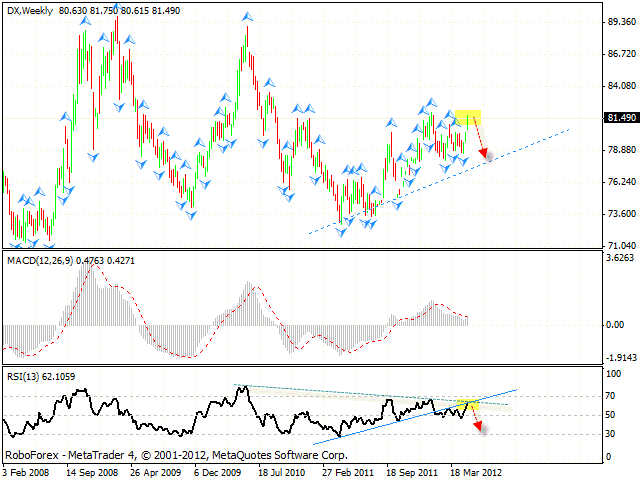 The trend’s ascending line at the RSI has been broken, we should expect the test of the similar line at the price chart. 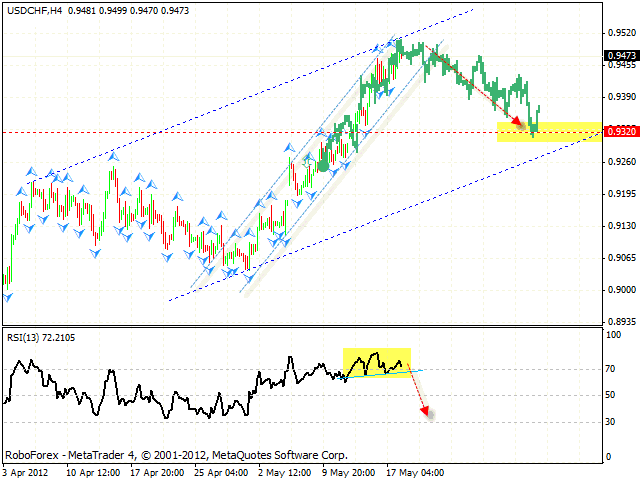 One can consider selling the USD/CAD currency pair with the tight stop. If the price grows up higher than the current maximum, this scenario will be cancelled. Australian Dollar has tested the ascending channel’s lower border, we should expect it to rebound from the current levels in an upward direction. One can consider buying the pair with the tight stop. If the price starts growing up, the long-term target will be the area of 1.11. However, if the pair continues moving downwards and breaks the channel’s lower border, this scenario will be cancelled.